Linking up with Sarah, Mindi, and Stephanie. Who’s interested in joining for the new CTM365 starting in January? Come on… it’s really not that hard. 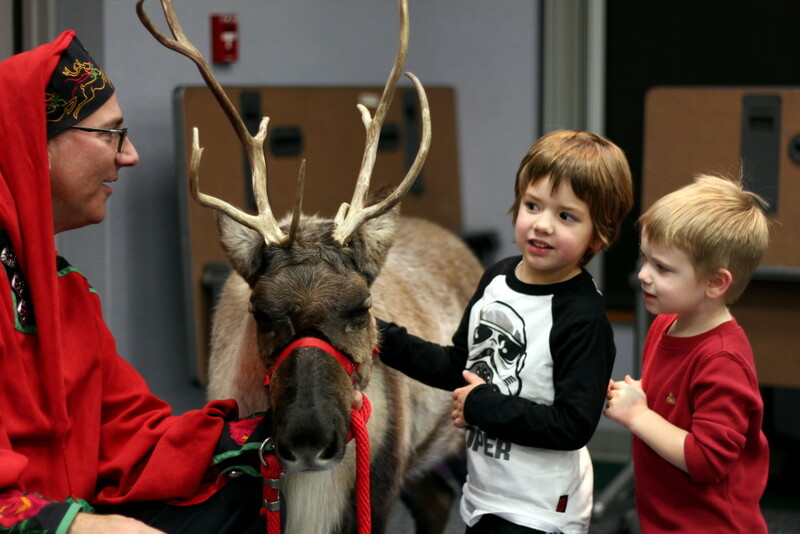 352/365 – Thursday, December 18th: Sharing secrets with Santa (be still my heart). This morning, after checking out the living room, Theo came to my bedside and said “you know Mom, there’s more than one Santa. You know that, right?” I asked him why on Earth he’d think that, to which he replied “because the one at the mall this year was different from the one the year before.” HOW?? 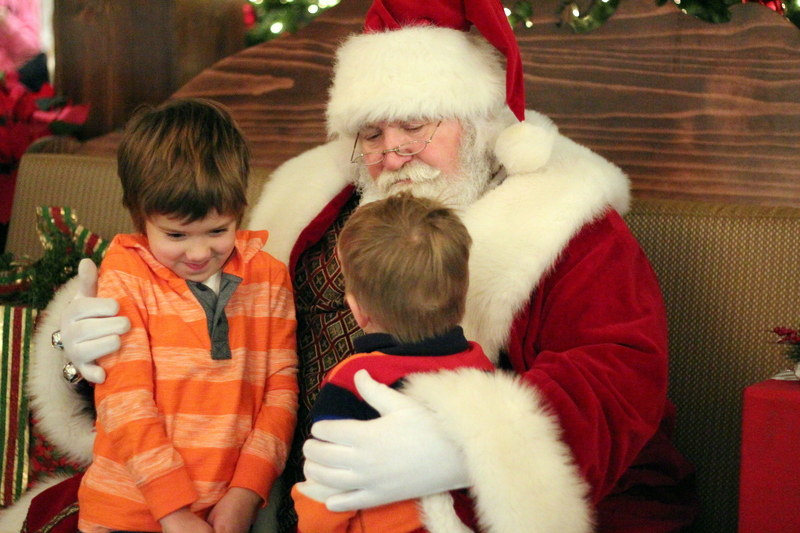 Well, in this picture he looks pretty smitten with that jolly man (or maybe he’s just thinking to himself, “this is a hoax”). Too smart. Too observant. 353/365 – Friday, December 19th: Can someone say hashtag bathroom selfie? Ryan’s parents kept the boys for the weekend. I went to a concert with these girls and some others that we met up with later while Ryan did a little shopping. What a fun night. 354/365 – Saturday, December 20th. More Christmas shopping, wrapping, etc etc etc. 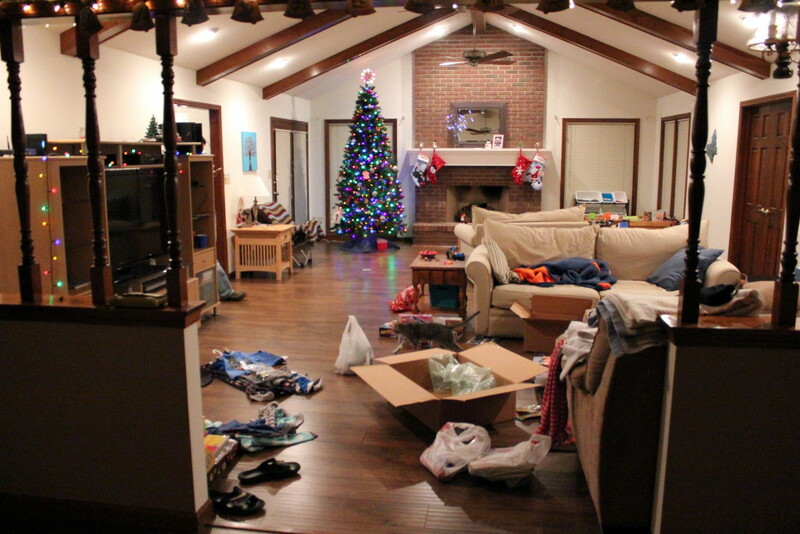 And this is what my house looked like when I finally gave up and went to bed Saturday night. 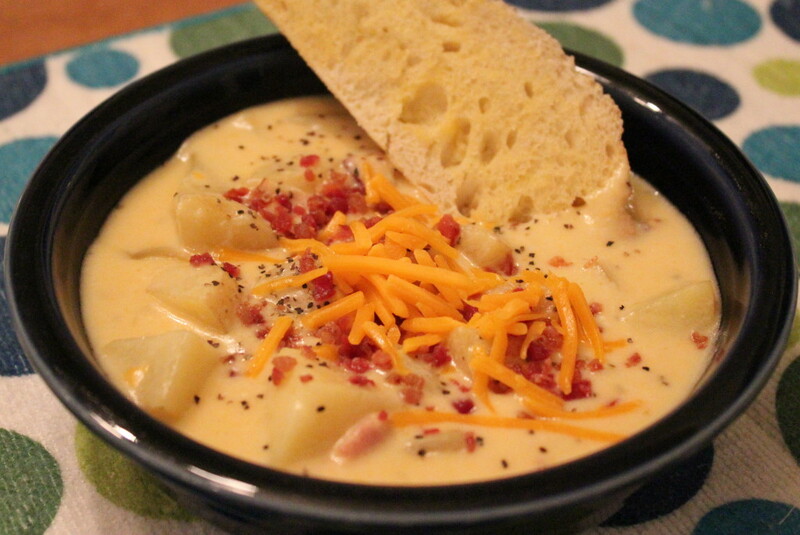 355/365 – Sunday, December 21st: I was craving some comfort food and made-from-scratch potato soup sounded good. What was even better is that Theo (not usually interested in helping me in the kitchen, unlike his brother who won’t leave my side typically) wanted to be involved in every step of making the soup. 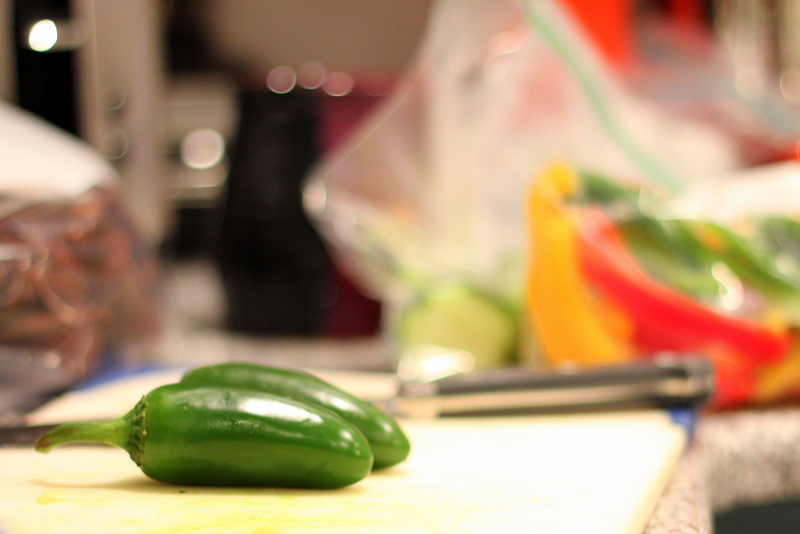 We spent a nice hour bonding and cooking together and I loved it. And he loved the soup! Funny how that works. Here’s the recipe. 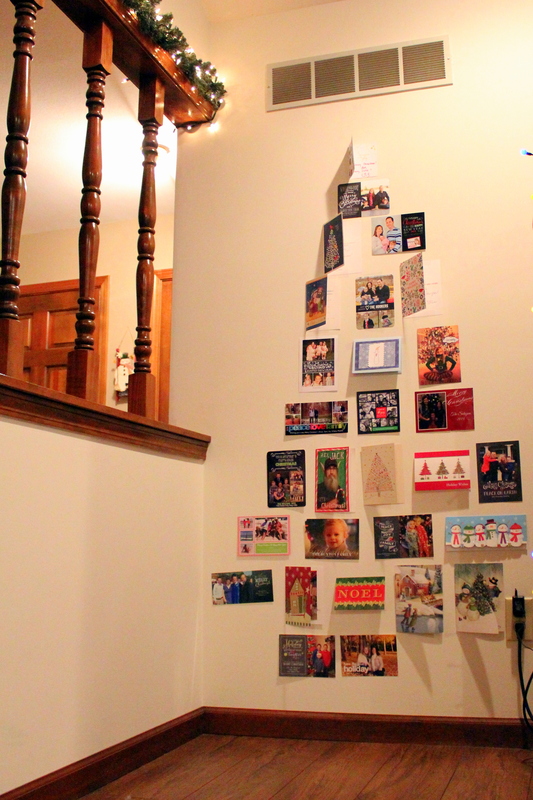 356/365 – Monday, December 22nd: Our 3rd annual Christmas card tree. It got all the way down to the baseboard by Christmas day. Receiving Christmas cards is something I look forward to every day this time of year! So next week I will wrap up this year of photos! Crazy…looking forward to seeing how everyone else who completed the project this year wraps it up. Which picture is your favorite this week? Those first two with my cuties enjoying the Christmastime festivities sure make me smile. So do my girlfriends. So did that soup. Okay, what’s new? I can’t decide. Say what!? Did I just type “week fifty”???? Every night I have plans of blogging about something…ANYTHING! But there’s always a list of a hundred other things to do this time of year. Why do the weeks and days leading up to the most wonderful day have to be so stressful and jam-packed with tasks? Can’t believe there are only a couple weeks left in this project and this year! I plan to keep moving forward. Learning about photography. Maybe finally take a class. Get better equipment. Practice, practice, practice. 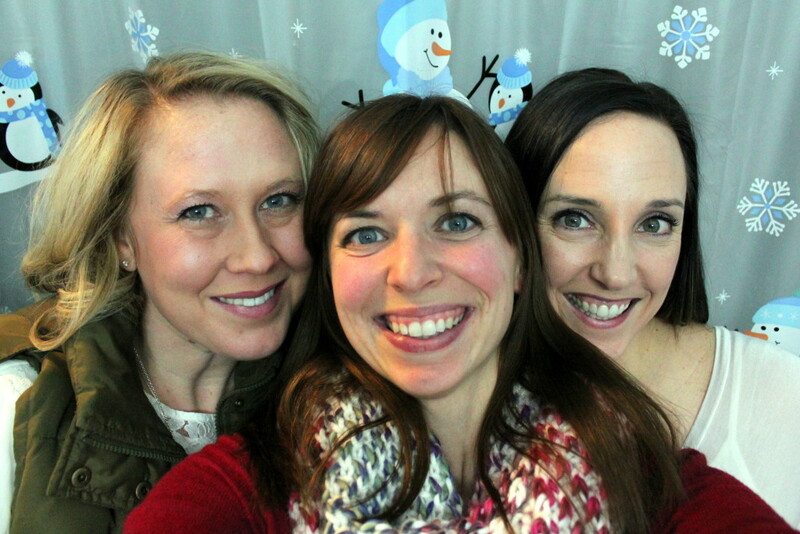 Linking up with Sarah, Mindi, and Stephanie for these last 3 weeks of Catch the Moment 365 (2014 edition). 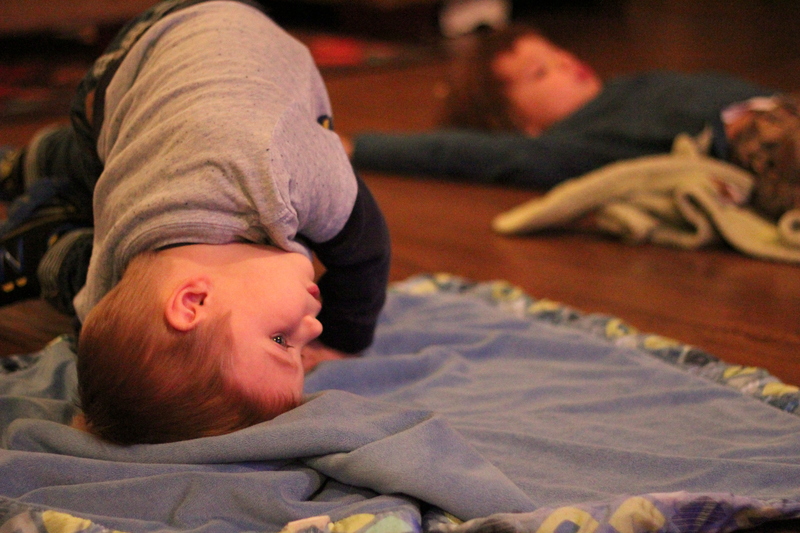 344/365 – Wednesday, December 10th: A few minutes of cartoons before pre-school while I finished packing their lunches. 345/365 – Thursday, December 11th: That “Oh-Crap-it’s-11:29pm-and-I-haven’t-taken-a-picture-yet-today-and-it’s-December-11th-and-I’m-not-gonna-screw-up-this-Project365-now” shot? Yeah, this is it. 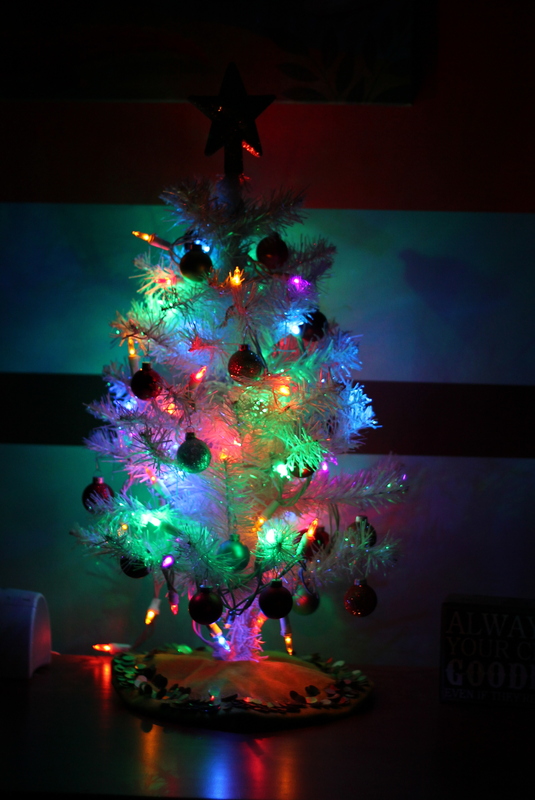 The little tree in the boys’ room. 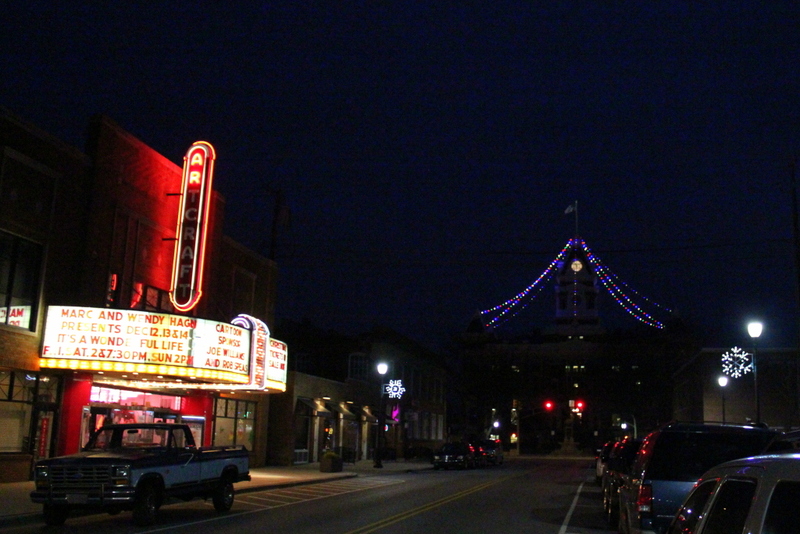 346/365 – Friday, December 12th: Cute little downtown Franklin, Indiana on a Friday night. 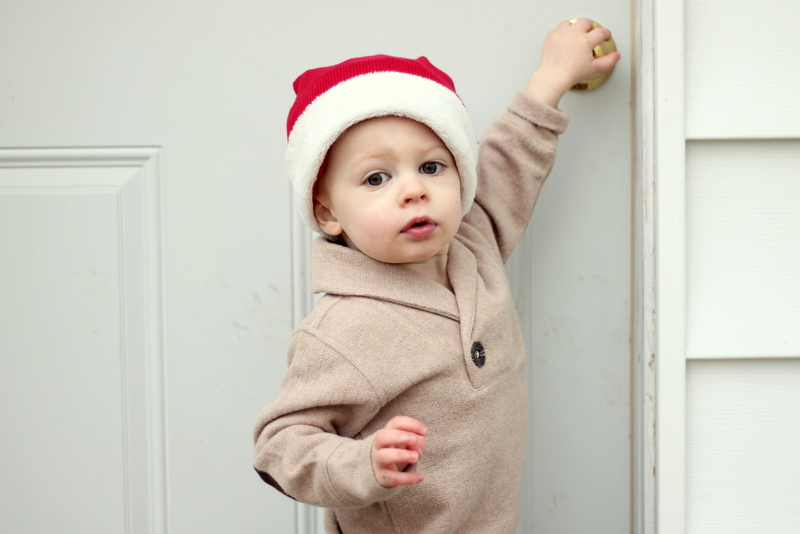 347/365 – Saturday, December 13th: Took some pictures of this sweet little Santa for his mama/my good friend. 348/365 – Sunday, December 14th: Finally! 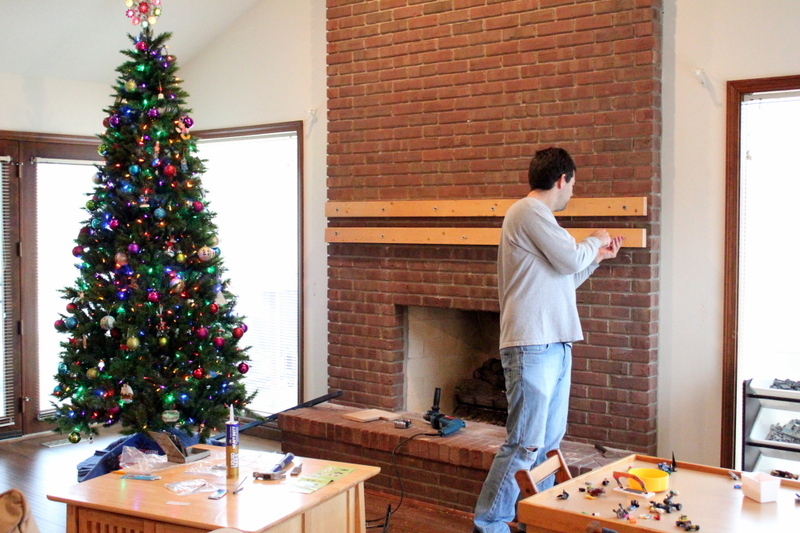 I’ve only wanted a mantel for 2.5 years on this giant brick fireplace. We had one built and Ryan and his dad installed it on Sunday. 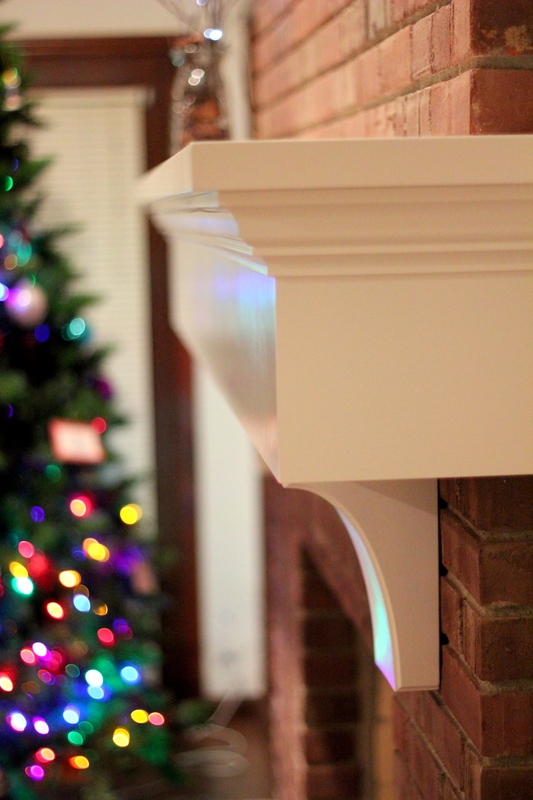 349/365 – Monday, December 15th: A little more detail of our newest piece of furniture. This thing is HUGE! I don’t even know how to begin to decorate it! I need STUFF. 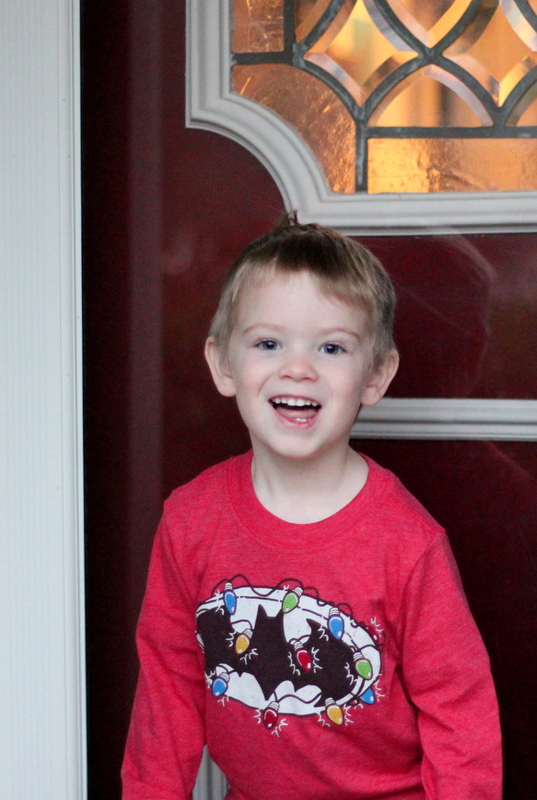 350/365 – Tuesday, December 16th: My little holiday Batman. What’s your favorite this week? That sweet little Santa with his big beautiful eyes on Day 347 stole my heart.